Huzzah! This 4-shade collection had good brushes before; now they're better! And we dare you not to crave chocolate mini eggs by the end of this post. Wheee!!! Springtime! And not just Spring, but the Spring shades you’ve been hankering for! Who’s got ‘em? 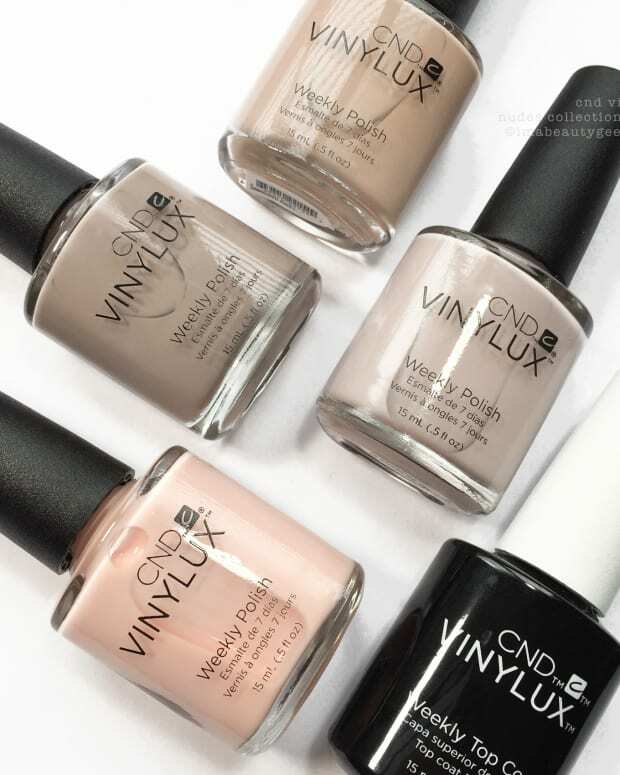 CND Vinylux has, in their 4-shade Chic Shock Collection for 2018. 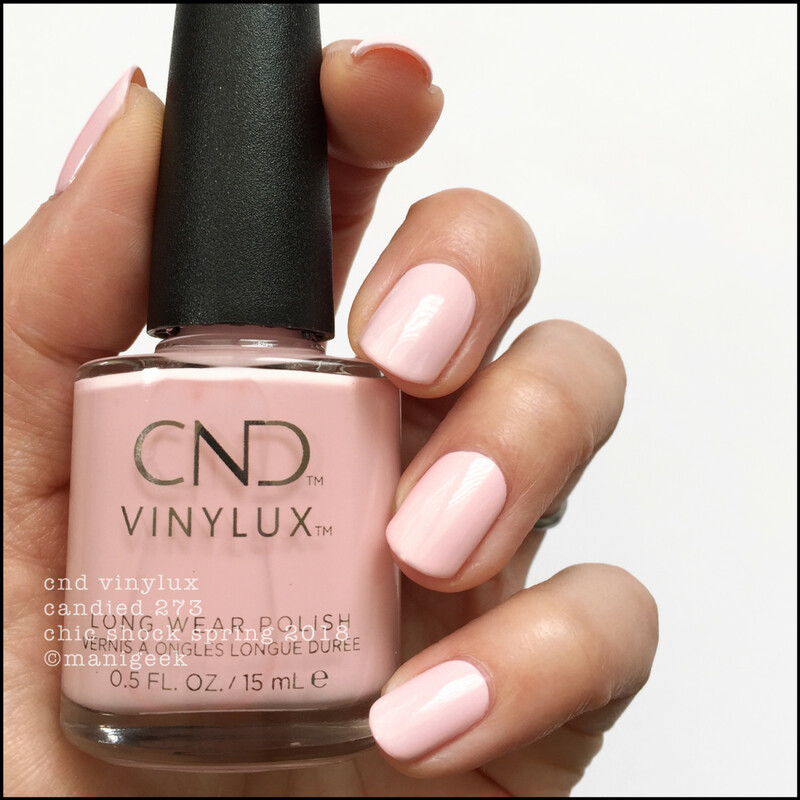 CND Vinylux Candied 273 – Chic Shock Spring 2018 (above). That’s 2 splendidly easy coats for a most perfect pastel pink. Is it just me or is anyone else craving Cadbury Mini Eggs now? 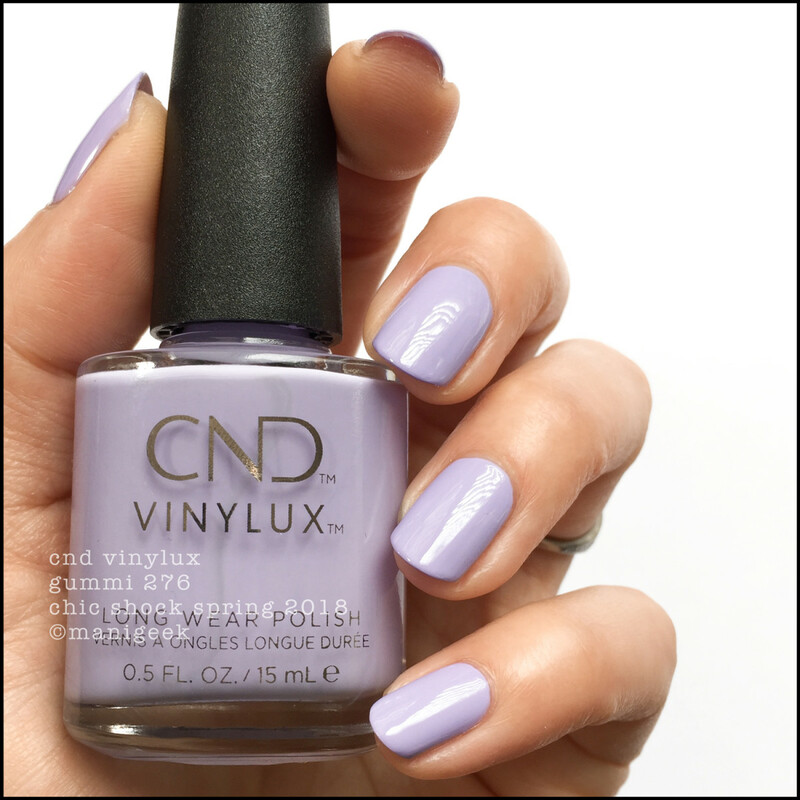 CND Vinylux Taffy 274 – Chic Shock Spring 2018 (above). This one was a tiny bit patchy in 2 coats, so I did 3 thin ones to get that perfect result. 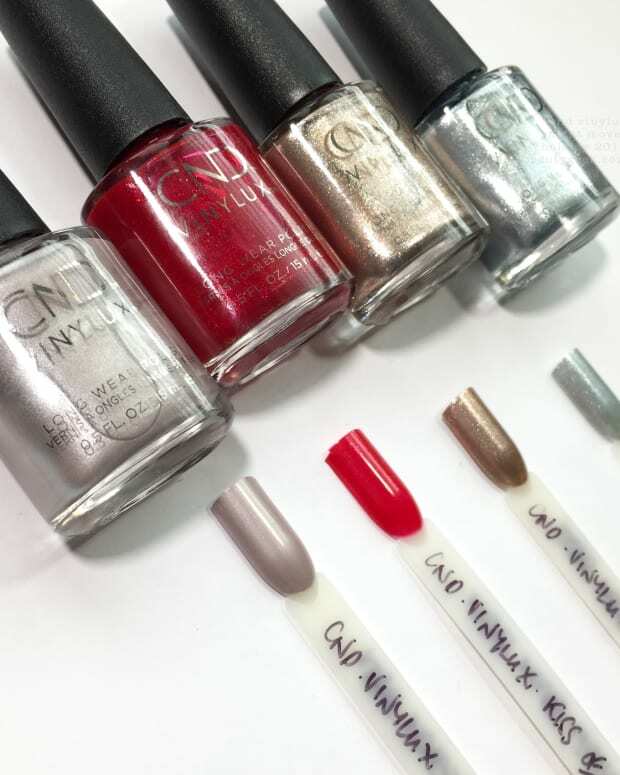 Slap that Long Wear Top Coat over it to pop big shine and maybe even extend your wear. 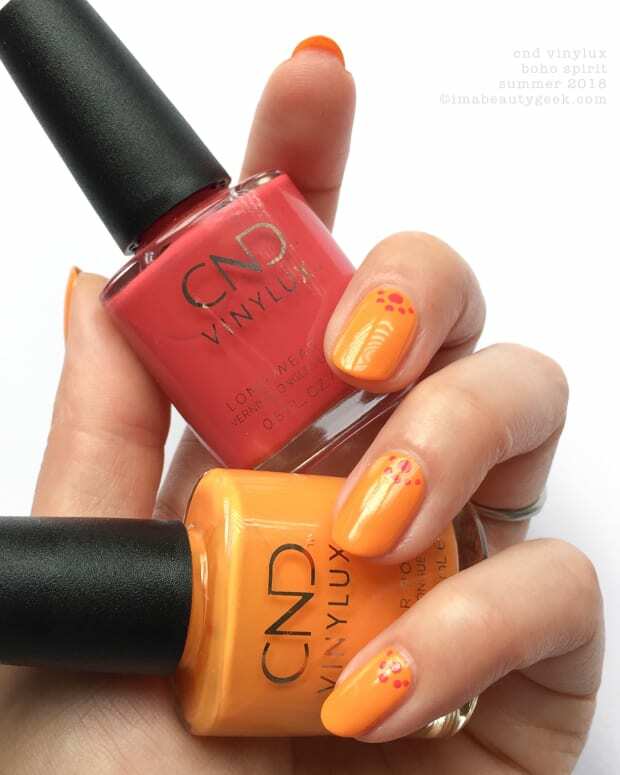 CND Vinylux Jellied 275 – Chic Shock Spring 2018 (above). Don’t freak out, but that’s a 2-coat pastel yellow. How? I’m going to put it down to the new brush. I mean the Vinylux brush was good before, but now it’s super-fantastic! 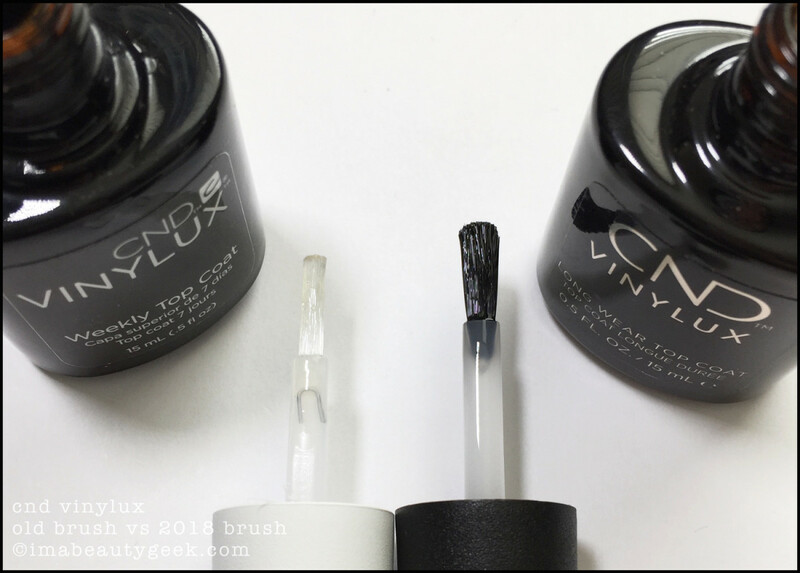 CND Vinylux pre-2018 brush (left) vs 2018 brush (right). The easiest way to show you the new brush is put the Top Coat ones side by side. Not only is the brush-actual different, but the length of the wand is different too. 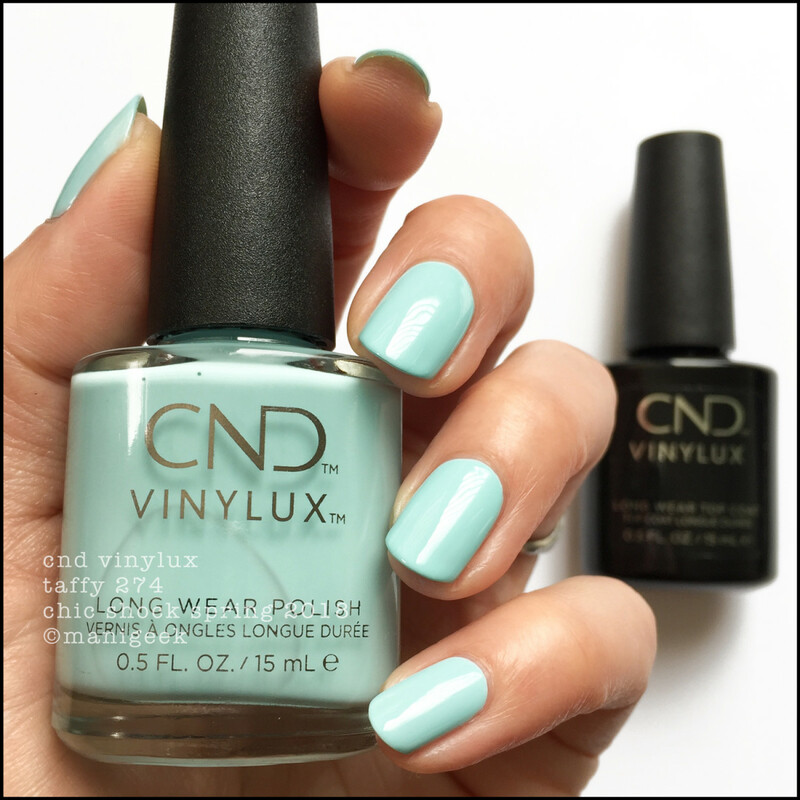 I never, ever had issues with the old brush, but until this switch, I never knew it could get easier to use Vinylux. Kudos to Revlon for taking a good product and making it even better. 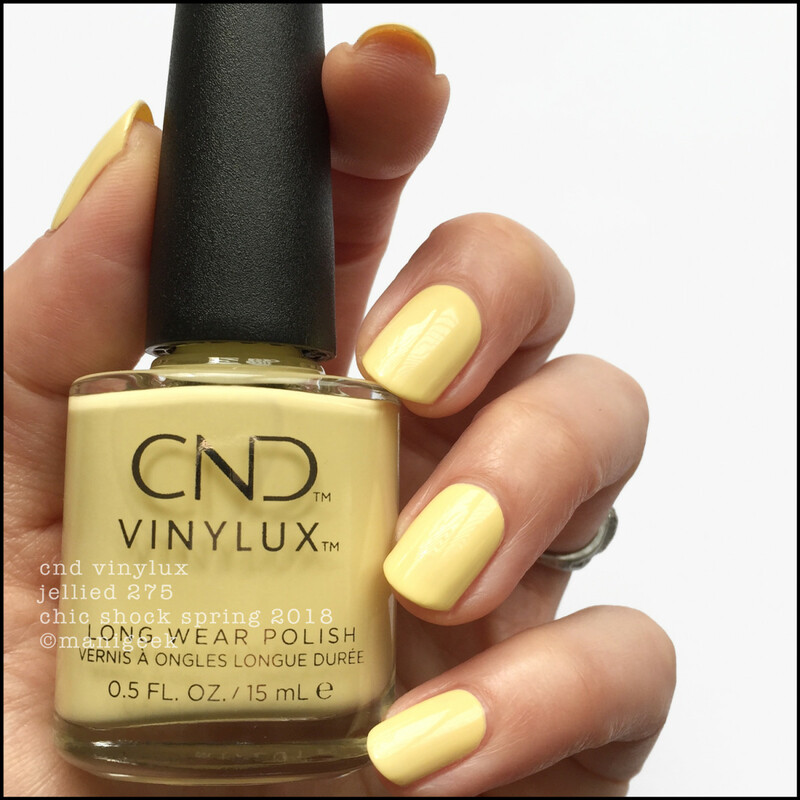 CND Vinylux Gummi 276 – Chic Shock Spring 2018 (above). And finally, lookit mah Gummi! Again, 2 easy coats (with that new rounded paddle brush) + coat of top. It’s just a smashingly Spring-y shade, right? Oh! I should mention that I first saw the new brush in late 2017, but for 2018 there’s also new bottle ink. It’s a nice, simple update that suits this brand perfectly. 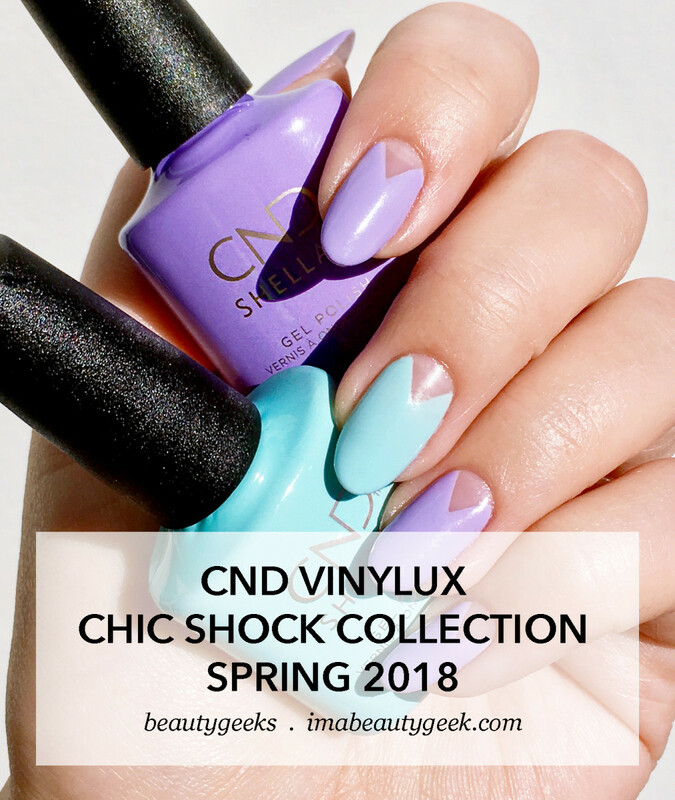 The CND Chic Shock Collection (in both Vinylux & Shellac) is available March 2018 from all your usual retailers. You feelin’ this lovely little pastel collection for Spring? I know I am! Let’s chat! Manicures & photos Karen & Janine (sister went to the event & I stayed at my desk). Sister&apos;s empty-chevron CND Shellac mani by Nargis Khan at Tips Nail Bar.